Say goodbye once and for all with the ol’ selfie stick! This week in Las Vegas marks the first availability nationwide, online and globally of the much anticipated AEE SELFLY for capturing amazing selfies while on the go. Launched in partnership with SELFLY Camera Ltd. and global leader in drone and camera technology AEE Aviation Technology, Ltd., the SELFLY ™, a 9.8mm / 0.38″ slim unique flying camera controlled from your smartphone, is now shipping and available worldwide for an expected retail price of $99. AEE SELFLY is an autonomous flying camera which can double as a smartphone case or be launched from a thin pocket dock so that it is always with you. More convenient and easy to fly than a drone, SELFLY is a remote camera that can be snapped off its case or out of its dock to fly nearly autonomously and give the user options and angles beyond the arm’s length of a selfie stick. As it hovers in the air, SELFLY waits for commands from your intuitive SELFLY mobile app to capture that perfect image. Serving as “tripod in the air”, SELFLY’s award-winning design is lightweight and portable for capturing instant on-the-go quality selfies. 720P video capability, and two batteries each has a flight time of four minutes with an approximate recharge time of 30 minutes. SELFLY is now available through www.Selfly.Camera, www.Amazon.com, at www.AeeUSA.com, as well as through other consumer electronics outlets for a suggested retail prices of $99. For full specs and features, please visit at www.Selfly.Camera. 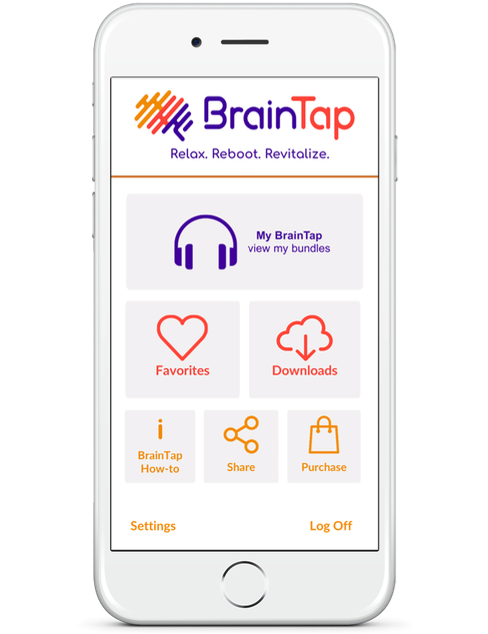 The BrainTap Pro mobile app is a mind-development tool designed to help users de-stress while achieving physical, mental, and emotional balance. Unlike other apps that only focus on one brainwave (such as alpha waves that calm and soothe,) BrainTap is based on the understanding that no complex human task has only one brainwave state but rather a symphony of waves working together. The BrainTap Pro mobile app takes the user through specially designed programs and offers bundles of sessions customized to specific goals. Whether it is to kickstart your productivity in the morning, alleviate stress after work, unwind before bed, or to recharge and focus midday let BrainTap do it. Daikin, the world’s #1 HVAC manufacturer and Air Intelligence™ expert, is up-ending the status quo in the HVAC market with the introduction of the Daikin One+™ smart thermostat. It arrives in a market where HVAC players have been conservative in adopting IoT technologies and, until recently, relegated leadership in the smart thermostat category to consumer electronics brands. Unlike competing consumer devices, the Daikin One+ smart thermostat isn’t just a simple consumer device to turn on/off an HVAC system. It’s the controller and cloud-connected hub for a sophisticated, integrated temperature control + air quality solution that includes an expanding ecosystem of indoor air quality modules that work together seamlessly. The Daikin One+ smart thermostat was beautifully crafted and designed in collaboration with one of the consumer electronics industry’s and Silicon Valley’s leading industrial product designers. The system supports Daikin’s vision of creating the most efficient, environment-friendly comfort systems – via air intelligence – and revolutionizing the way people and businesses think about heating, ventilation and air conditioning. 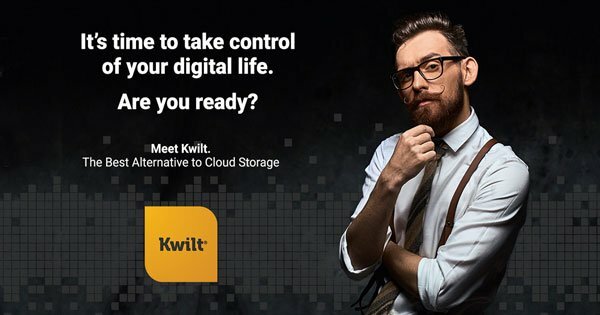 Curious about how a Kwilt #PersonalCloud can change your life? Curious about how a Kwilt #PersonalCloud can change your life? Second-generation #Kwiltdevices store and access digital content effortlessly. Learn more at #ShowStoppersCES. https://www.showstoppers.com/wp-content/uploads/2019/01/Showstoppers_color_400px.jpg 0 0 Steve https://www.showstoppers.com/wp-content/uploads/2019/01/Showstoppers_color_400px.jpg Steve2019-01-08 21:30:532019-04-22 08:13:34Curious about how a Kwilt #PersonalCloud can change your life? OWC®, a leading zero emissions Mac and PC technology company, will be in attendance at ShowStoppers CES 2019 and displaying the latest storage, connectivity, software and expansion solutions to enable creative professionals, producers, educators and government entities to get the most out of their technology investments, protect valuable digital assets and expand their hardware’s capabilities to keep up with the demands and evolution of their work. Envoy Pro EX, Available now on MacSales.com — Envoy Pro EX SSD storage systems, compatible with Mac and Windows PC, for audio, video, design and photography professionals. Sporting an industrial build with no moving parts that meets MIL-STD810G military drop test compliance standards, even without the rugged and durable new bumper added for extreme protection. With a captive Thunderbolt 3 cable and bus-powered simplicity, OWC’s 2019 Envoy Pro EX lineup can go anywhere and take anything. Whether its shooting a live performance, downloading a day’s worth of photos in the desert, or backing up your life’s work, OWC has your back. And with a price point under $500 for a 1TB Thunderbolt SSD, OWC leaves the competition in the dust. Mercury Helios FX 650, Available now on MacSales.com — Mercury Helios FX 650, a Thunderbolt 3 eGPU enclosure that transforms MacBook Pro, MacBook Air, Mac mini, iMac, or any Thunderbolt 3 equipped PC into a high-end graphics processing workstation. Modern software and operating systems utilize the massive power housed in the GPU to enhance the performance that spans across creative workflows. And nowhere is GPU realized more than with applications like high-end graphics programs, video editing suites, VR/AR software and gaming. With the graphics processing possibilities of the Mercury Helios FX 650 combined with choice of GPU, users can experience shorter rendering times, faster video effects, and a brilliant overall user experience. Also on display will be OWC’s latest lineup of products including, ThunderBlade®, Thunderbolt™ 3 Dock, USB-C Travel Dock and USB-C Dock. 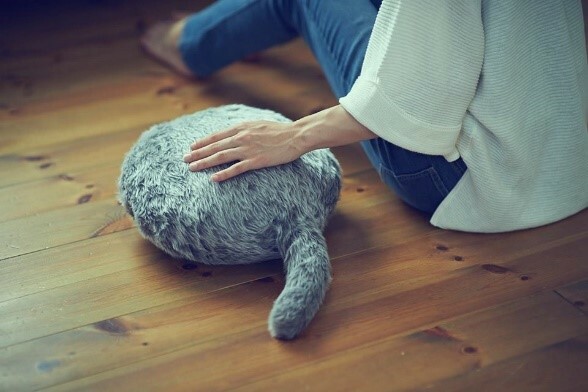 YUKAI showcases Qoobo, a tail-wagging robotic pillow that was recently released to the market. Flexible tail that gently waives when caressed and swings playfully when rubbed. Sometimes wags spontaneously to call the user’s attention. Simple communication method that helps the user develop a sense of bond with the robot. “We are thrilled to present Qoobo after completing delivery to our Kickstarter supporters and those who placed preorders. We have received preorders and inquiries from various types of users, including families of dementia patients and people with pet allergies. I hope Qoobo will bring them a much-needed sense of comfort,” said YUKAI Engineering CEO Shunsuke Aoki. 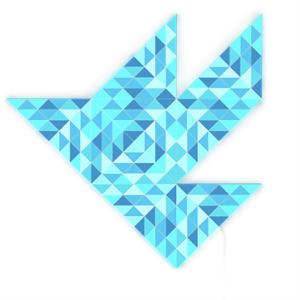 Nanoleaf reveals a brand new Hexagon shape to their line of touch-reactive smart lights. Offering even more options for creativity, the Hexagons create intricate configurations that transform lighting from mundane to masterpieces to be marveled at. Launched just a month ago, the Nanoleaf Canvas is the first of the company’s intuitive touch lights with a modular LEGO-like setup. We believe in lighting that fits into your life, not the other way around. 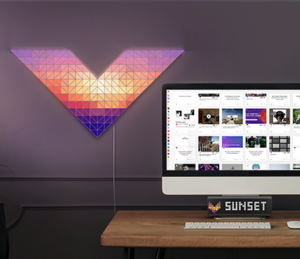 The Nanoleaf Canvas is a modular smart light that can change, shift and grow with you – ultimately, making your everyday better. With interactive touch technology engineered to react to your unique gestures, touch the Canvas to turn on, off, adjust brightness, activate animations and turn on the music visualizer. Now you can transform the entire ambience of your home with one single touch. 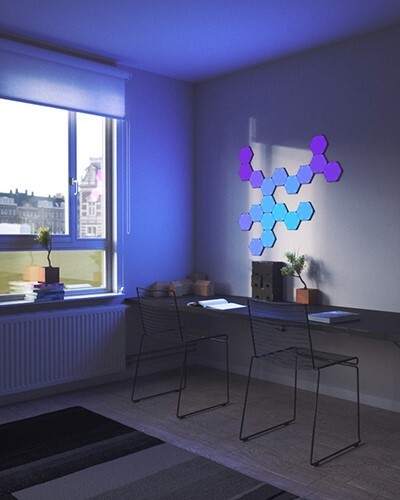 Combining smart controls with a classic edge-lit aesthetic, the thoughtful design of the Nanoleaf Canvas makes it a standalone piece of art that appeals to the senses while making your home more intelligent. With a multi-faceted texture effect, the Canvas’ brilliant crystal-like optics play off of the traditional marble tile – eloquently capturing that elusive human touch often neglected by today’s smart home. 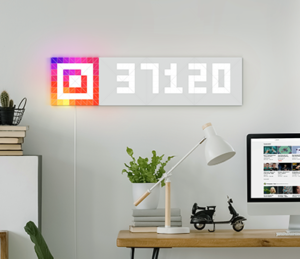 LaMetric, well known for it’s connected smart clock TIME, showcases the prototype of SKY – mosaic own-shaped light panels that are aimed to brighten up a mood with different light effects, decorate the interior with paintings and motivate with social media counters, sales figures and more. The inspiration for mosaic style comes from vintage stained glass. Let’s dig deeper. A starter pack of LaMetric SKY consists of 8 triangular light panels that can be shaped into a cat, diamond, crown, bird or your own form. Being able to shine in over 16 million colors, the light panels create an additional window with the sky view and fit perfectly into any interior. Once you have decided on a shape and attached the light panels to the wall, they will display a pixelated color code. All you need to do is scan it using proprietary technology built into the official app to recognize individual panels and assembled shape. Enjoy the SKY effects. With sunrise, sunset, rainbow, lightning and other effects, you can set different moods for different purposes. Clouds effect is perfect for work, while sunset is great for relaxing and lightning for home parties. Being the second product of LaMetric, SKY inherited the best features of its predecessor. It can display adorable pixel faces, that are like painting on the wall and can be changed whenever you want. As LaMetric TIME, SKY can also show important figures from the Internet and motivate you to move confidently towards your goals. Once you have created an informative screen from the light panels (you will need at least 16 panels), you are able to track how many followers you have on Instagram, a number of subscribers on YouTube, income on PayPal account, get notifications from Smart Home devices and more. So who is LaMetric SKY aimed at? Well, it’s for anyone who wants to brighten up their space, add more elegance and style to a room, relax, dance, get important info at a glance and be always motivated to achieve new goals. IMPORTANT: Embargo until 9th January 2019, 9:00 AM PST. ChipBuilder™ Platform empowers individuals to design custom chips in hours and receive samples in weeks. A key challenge faced by product developers in 2019 is taking new ideas to market as soon as possible. This is the core mission of zGlue, a Silicon Valley company offering custom chips on demand. With an end-to-end methodology for accelerated chip building, zGlue’s process is projected to disrupt the semiconductor industry and make previously complex systems much easier to develop. The process starts with zGlue’s chip design software, ChipBuilder™, enabling users to go from a drawing on a napkin to a routed system in the same business day. Until now, this software has been reserved as an internal tool for zGlue engineers. 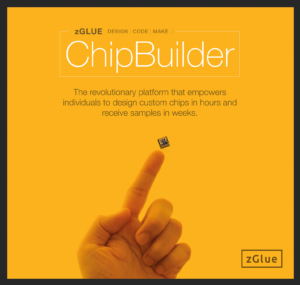 At CES 2019 zGlue is releasing ChipBuilder to the public as a beta program. zGlue’s process is built from the ground up to make chip building simple and streamlined. Users can design their own chips by selecting industry standard components from the ChipBuilder library and placing them on a canvas representing zGlue’s Smart Fabric, an active interposer that handles the communication between components in zGlue chips. By simply dragging and dropping components onto the Smart Fabric, users can immediately see a virtual representation of their chip design including a 3D chip model rendered in real time. Today the ChipBuilder library contains a range of 20 different processor, communication, sensor, memory, and battery management products from many top industry vendors including Nordic Semiconductor. An additional 100 are in the qualification pipeline. Once components are selected, users can customize their schematic to produce a design rule correct system which ChipBuilder will automatically route. Chips designed in ChipBuilder beta will be quickly manufactured through the zGlue shuttle program and be immediately ready for high volume manufacturing at ASE when the customer has qualified their prototypes. Traditional methods for custom chip production can take over a year and cost millions of dollars to get from a specification to packaged chips. Compare this to ChipBuilder designs, which will be manufactured within 1 month at a cost of only thousands of dollars as part of zGlue’s new shuttle program. Along with samples of their custom chips, customers will receive a software development kit. This kit includes the firmware and software development environment needed to personalize the newly delivered chips and bring the customer’s product to life. MPOWERD is on a mission to transform lives with thoughtfully designed, clean technology and are proud to showcase its first smart solar light at CES ShowStoppers. The Luci Smart Solar Light + Mobile Charger, Luci Connect has launched as an exclusive first-to-market offer with specialty outdoor US retailer REI. The global roll out to the brand’s e-commerce site and other retail partners is scheduled for mid-January 2019. MPOWERD, maker of the Luci light – the world’s first inflatable solar light – has ventured into Consumer Electronics with the Luci Connect. This latest solar product offers Bluetooth connectivity via a mobile application available for iOS and Android mobile devices. As part of the Luci family, Luci Connect harnesses the power of the sun, storing solar energy in a 7.4Wh lithium-ion battery. This innovative light features a two-way USB port for direct and mobile charging. 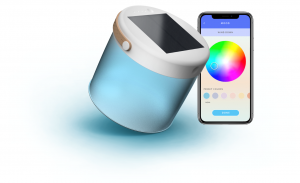 The mobile apps offer unlimited color customization options with an intuitive color wheel, a timer and schedule setting, preset moods plus the ability to create custom moods, along with full control of the light’s brightness, hue, transition speed, and a battery life check. 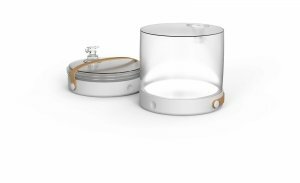 Aside from the Luci Connect, the company will also be demonstrating the Solar String Lights that launched late 2018, and the full line of award-winning lights for off the grid adventures and home decor. Stop by Exhibit G3 for a sneak preview of innovative smart solar products slated to launch in 2019. ShowStoppers combines a product showcase, hands-on demos, and a relaxed reception into one efficient event. It’s an informal ambiance that includes a buffet and open bars. Exhibitors arrive 2 to 3 hours prior to the event to set up, and to eat something before the event begins. As journalists arrive, ShowStoppers checks them in to ensure they were invited. As they make their way around the room, during the course of the evening they meet with exhibitors, test products and do what they do best: produce the story. What kind of companies participate in a ShowStoppers event? Aspenta, Dell, Domotz, Ericssson, HP, Honeywell, HTC, Jabra, Lenovo, Microsoft, Mio, Razor USA, Roku, Samsung, Seagate, Sennheiser, Sisvel, Skype, Sonos, SuperTooth, TeleNav, Texas Instruments, Toro, Toshiba, TripIt, Truphone, Viewsonic, Vizmato, Vogel’s, Wacom, Western Digital, WowWee, Yurbuds, ZAGG — as well as innovators, smaller companies, start-ups, and many more! Who drives the press to the event? ShowStoppers or the exhibitors? How does this work? ShowStoppers handles all of the promotion, press invitations, press credentialing and press RSVPs for the event. ShowStoppers invites the most influential press and analysts from its comprehensive media databases. ShowStoppers events are also listed on an array of domestic international calendars aimed at press. ShowStoppers also recommends that you reach out to your favorite journalists. Plus, ShowStoppers posts your press kit on its web site, which has become a valued resource for the media, as they prepare their coverage and then we implement a post-event follow-up. How can a company participate in ShowStoppers? It’s easy to become an exhibitor at ShowStoppers. Simply request a contract here – and then just email the signed agreement back to Showstoppers at the email address provided on the contract. Once you’re signed up for ShowStoppers @ IFA, our event staff will contact you regarding all of the logistic details. Are there any other costs associated directly with exhibiting at ShowStoppers? Monitor rentals are available to enhance your demonstration. Cost ranges from $350 to $750 USD, depending upon the selected size. Wireless Internet Services are included however if you require a dedicated line, there is an additional charge depending upon the selected bandwidth. Can I request a special location at ShowStoppers? ShowStoppers does its best to honor requests for placement in general areas of the venue, or near/or far from other exhibitors. How long will spots be available at this event? ShowStoppers events sell out every year, so we encourage you to book your spot early! Do I need to exhibit in IFA in order to participate in ShowStoppers? Yes. ShowStoppers is the Official Media reception of IFA so participation with the show in some way is required. If you are not currently contemplating exhibiting at IFA talk to us. We have a number of cost effective programs that allow you to achieve your objectives while satisfying the participation requirement. No. ShowStoppers @ IFA is a demonstration/showcase event. There is no stage for presentations and speeches. Instead, you shake hands and talk with journalists. This face-to-face contact creates powerful opportunities for interviews, product reviews and news coverage. We do offer sponsorship programs that provide you greater exposure such as media bus transportation or private receptions with the press. Exhibitors arrive 2 to 3 hours prior to the event to set up, and to eat something before the event begins. As journalists arrive, ShowStoppers checks them in to ensure they were invited. Making their way around the room during the event, they can meet with exhibitors and test their products. ShowStoppers also recommends that you reach out to your favorite journalists as well. Plus, ShowStoppers posts your press kit on its web site, which has become a valued resource for the media, as they prepare their coverage and we also implement a post-event follow-up. It’s easy to become an exhibitor at ShowStoppers. Simply request an agreement here – and then just email the signed agreement back to Showstoppers at the email address provided. Once you’re signed up for ShowStoppers @ MWC, our event staff will contact you regarding all of the logistic details. Do I need to exhibit in MWC in order to participate in ShowStoppers? No. While you are not required to participate on the exhibit floor of MWC in order to participate in ShowStoppers @MWC — we always encourage you to consider it as an option. No. ShowStoppers @ MWC is a demonstration/showcase event. There is no stage for presentations and speeches. Instead, you shake hands and talk with journalists. This face-to-face contact creates powerful opportunities for interviews, product reviews and news coverage. Showstoppers invites and admits only qualifying journalists working at print, TV and radio business, technology, consumer-electronics and consumer media; selected and qualifying bloggers; qualifying industry analysts; and qualifying members of investment banks and venture capital firms. Showstoppers is a private event. Showstoppers is an invitation-only event. Showstoppers events are NOT open to the public. A tradeshow press badge is NOT an invitation. A tradeshow press badge does NOT grant the holder automatic admission to Showstoppers. Showstoppers does NOT accept registrations with email addresses from yahoo.com, netzero.com, hotmail.com, and other free services that have nothing to do with a publication, TV or radio station. We require a publication-based email address. Showstoppers does NOT accept registrations with email addresses from msn.com, compuserve.com, aol.com and other generic services that have nothing to do with a publication, TV or radio station. We require a publication-based email address. Showstoppers reserves the right to require verification that you are working media. In some cases, we may ask you to provide a copy of a published article with your byline, a publication masthead listing you as a contributor or staff member, a video or audio tape, or a letter on official stationary from your publisher or broadcast producer. When in doubt, contact Steve at least TWO WEEKS prior to the event, or bring a copy of an article to on-site registration. Showstoppers reserves the right to refuse admission to anyone who does not comply with these policies. Showstoppers reserves the right to refuse admission to anyone who does not meet our press-qualification criteria. Camera and recording crews are welcome to attend Showstoppers. Each member of the crew is required to register separately. Contact Steve to set this up. Submit a link to an online masthead and an article with your byline that appeared within the past three months. Send this to Steve. Submit a letter on letterhead from an editorial contact at a publication indicating that you are covering the tradeshow for that publication. Send this to Steve. At the specific request of sponsors, Showstoppers events are NOT open to non-editorial members of User Groups. When in doubt, email or send via USPS a copy of a RECENT article. When in doubt, bring a copy of a RECENT article to on-site registration. Send this to Steve. Registrations that do not include a working URL. Registrations that do not include a working email address. Personal and non-press Web site writers, editors and/or creators. Blogs and Web sites that exist only to aggregate and republish coverage that originates from other sources. Anyone can post a blog. Anyone can post to a blog. That does not make you a reporter, journalist or industry analyst. Just like driving fast does not make you a professional driver of race cars.